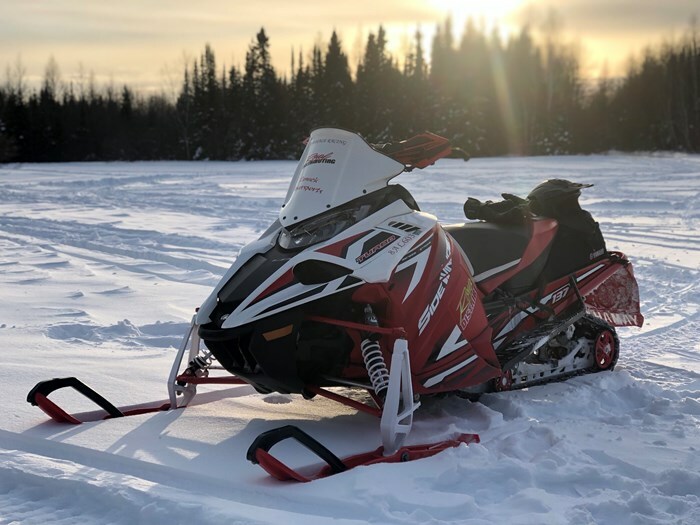 What better way to explore all that Northern Ontario has to offer than by the seat of a snowmobile? 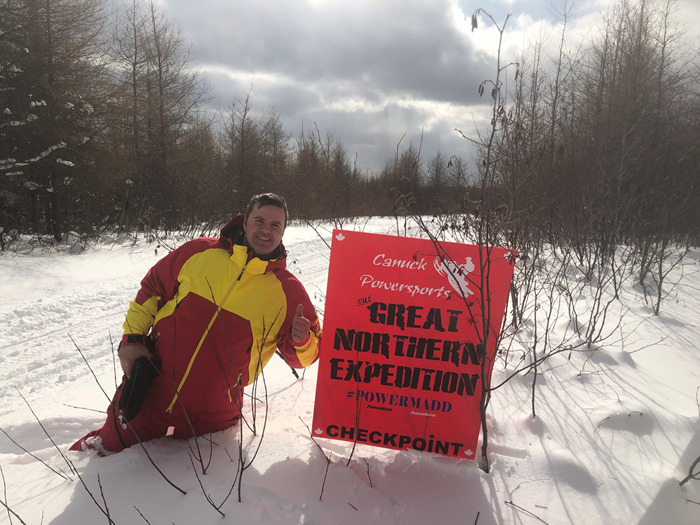 Canuck Powersports hosted The Great Northern Expedition for its first annual endurance snowmobile ride benefitting the Canadian Fallen Firefighters Foundation on March 2nd, 2019. 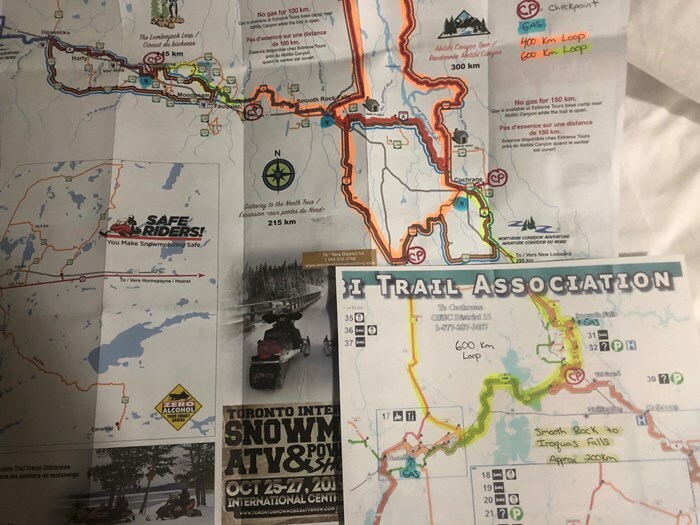 Participants had the option to complete either a 400km or 600km loop that took riders through communities such as Cochrane, Smooth Rock Falls, Moonbeam, Kapuskasing, Iroquois Falls and Timmins. The name of the game is to keep moving as the odometers on the snowmobiles continue to rack up the miles. To run a successful endurance ride, one must prepare not only their sleds but also themselves for what will prove to be a long day in the saddle. After almost a year of planning participants started rolling into Cochrane ON ready to ride. The Best Western Swan Castle Inn was the host hotel and the start and finish location for the ride. With ample parking for trucks and trailers as well as a locked compound for the snowmobiles this spot proved to be the ideal location. Check-in was Friday evening in one of the meeting rooms where riders picked up their swag bags and detailed maps for their chosen routes. Come morning, everyone participating in the event met adjacent to the hotel on Commando Lake at the pavilion for a rider’s meeting prior to the event start. Mayor Clement was on hand for the opening ceremonies to welcome everyone to Cochrane and say a few words on behalf of the town. Fire Chief Vallee was also in attendance to talk about our chosen charity the Canadian Fallen Firefighters Foundation as well as commend the volunteer emergency services that serve the Northern Ontario communities. The rider’s meeting consisted of how the day would evolve as participants cover high miles to each of the allocated checkpoints along the route. 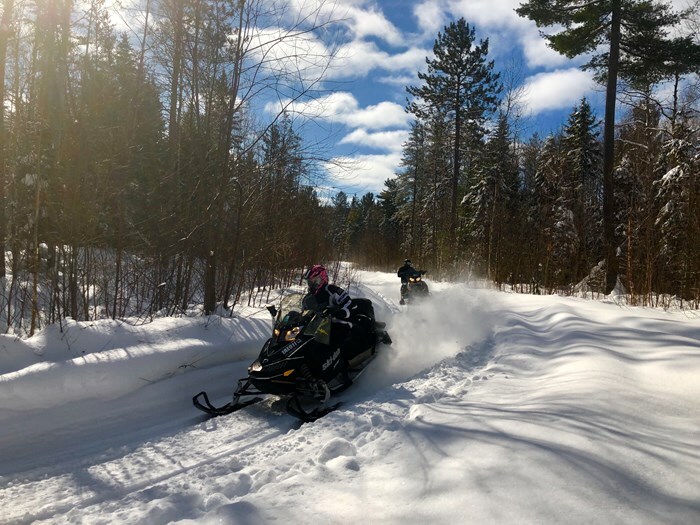 The Great Northern Expedition endorses safe, high mileage snowmobiling on OFSC trails. This event is a ride and not a race, which means that there are no time limits in place to complete the loops. Expressing the importance of safety and staying within the snowmobile traffic act is of utmost importance. 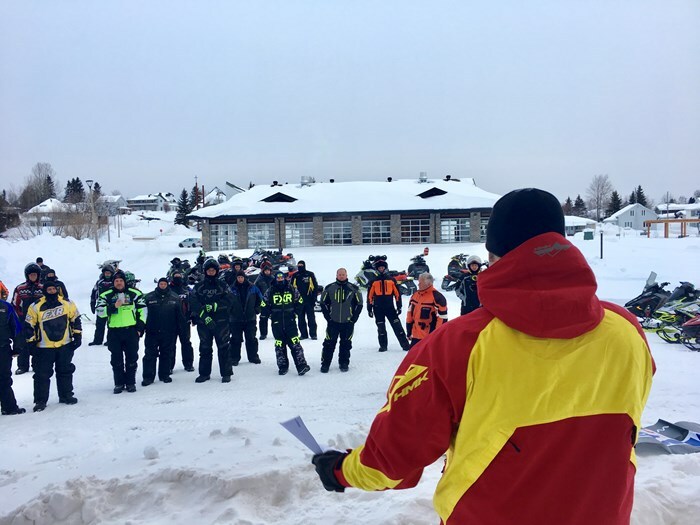 At 08:00 the riders departed on their journey which would prove to be an accomplishment for many riders as this could be their longest distance covered in a day via snowmobile. We couldn’t have asked for better weather as temps were -8*c with nothing but sunny skies in the forecast. 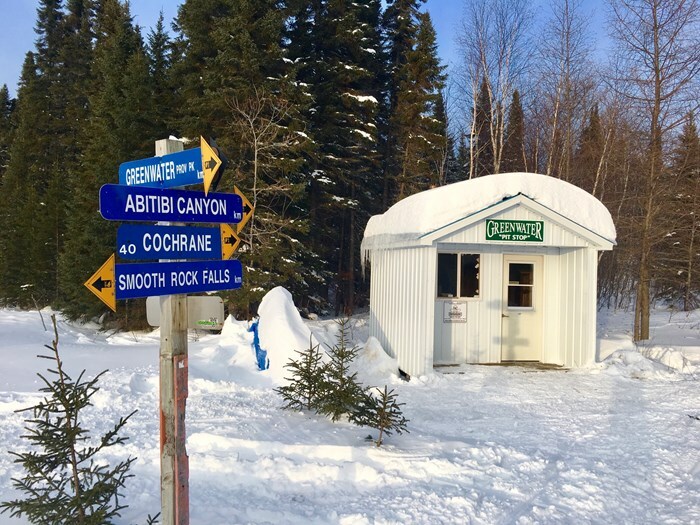 The Abitibi Canyon loop was incorporated as it is one of the most recognizable OFSC snow tour loops in the area. A huge shout out to all the snowmobile clubs that had the trails in pristine condition despite heavy snowfalls earlier in the week. The Polar Bear Riders, Arctic Riders, Moonbeam club, Kapuskasing Sno Rovers, Timmins Snowmobile club and Jackpine snowmobile club all outdid themselves! As the groups arrived back at the Best Western Swan Castle Inn completing their loops, they had to check in to the front desk of the hotel to see if they had won one our draw prizes from our sponsors. Thank you to HMK USA, Bergstrom Skegs, Mack Studs, Royal Distributing, Trufuel, Fenelon Falls Marina, PJ Trailers Ontario, Powermadd, Paps Power Shop and C&A Pro Skis for your generosity and support! Bergstrom Skegs donated a second set of Triple Point carbides for our live auction which fetched an additional $210 for our charity. All participants had to have a valid OFSC trail permit for the day of the event, must abide by all traffic acts (ie: speed limits, etc), machines must be insured and display proper registration. Everyone arrived back to Cochrane safely although there were some tired bodies who challenged the endurance ride. 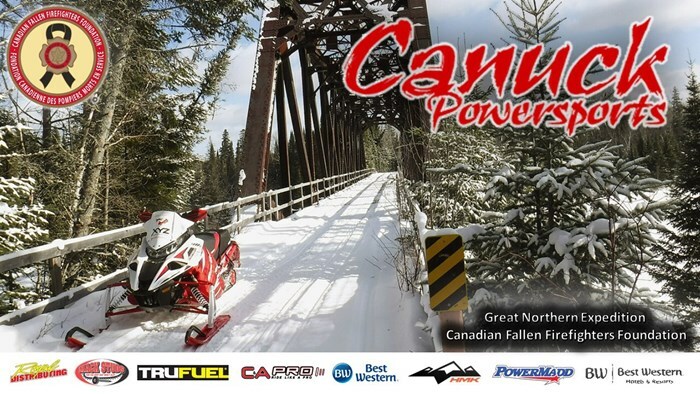 We are already planning for next year’s event so stay tuned to the snowmobile forums and Canuck Powersports website for upcoming details to be released Fall of 2019. If you are interested in endurance snowmobiling check out the Icy Cheeks Endurance (ICE) Association. Self guided distances of 400km, 600km, 800km and 1000km distances can be obtained to become a certified ICE endurance rider. 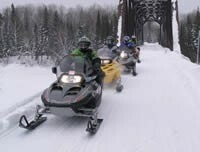 Featured rides such as the RAP tour, Gold Rush tour and many more can be accomplished by snowmobilers on their own schedules. The ICE Association promotes safe, high mileage riding that will put any sledder to the test. For more details visit www.iceassociation.com. All forms along with rules and regulations can be found on the website. Northern Ontario has some of the best trails in the world. 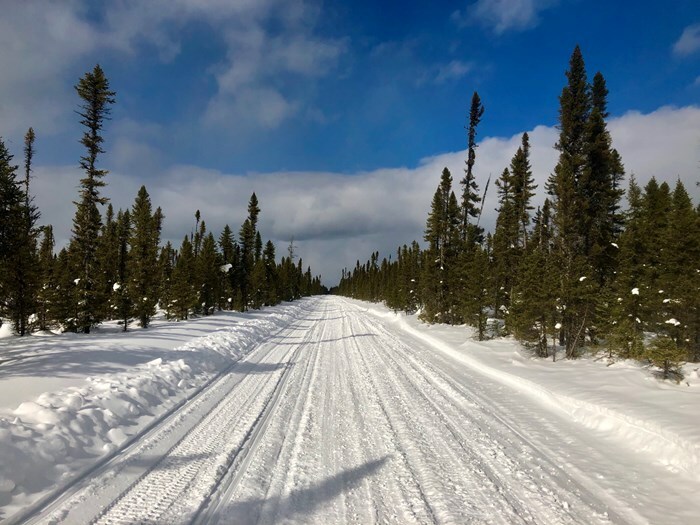 Load up those trailers to see what everyone is talking about when experiencing the longest snowmobile season that the Province has to offer. Thank you to all of those that participated, donated to our charity and had a hand in making our first annual event a success. 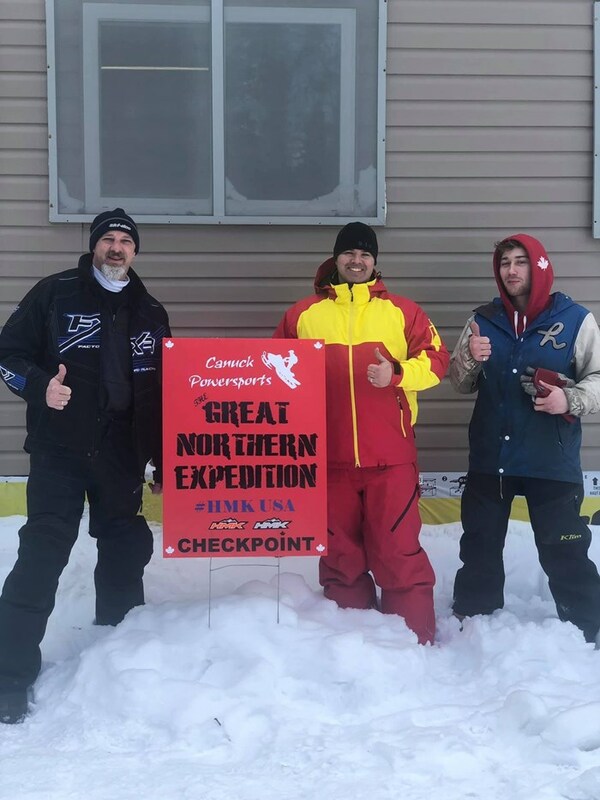 The Canuck Powersports staff looks forward to being back in Cochrane in March 2020 for our second annual Great Northern Expedition! 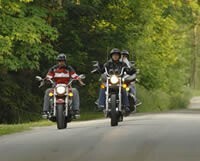 Pack on those miles and ride safe!